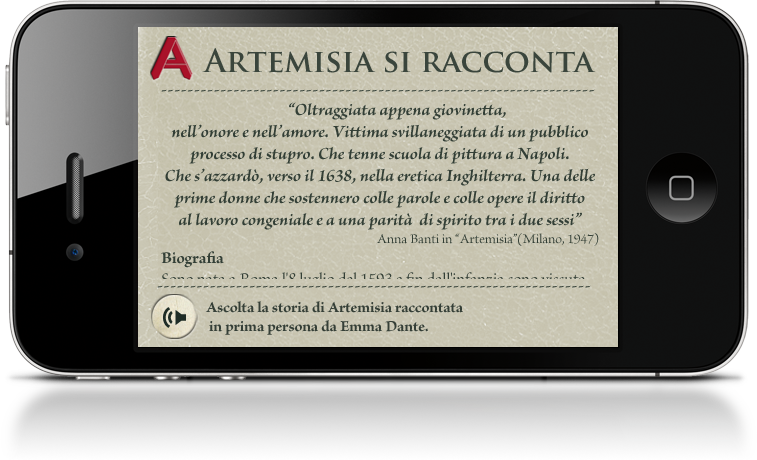 For the exhibition dedicated to Artemisia Gentileschi an application was created that engages the visitor before, during and after the participation in the event. A fascinating journey into the artistic world of Artemisia, a bold and brilliant woman, and her story of a passion. Through the universal application, both for the iPhone and for the iPad, we will be able to sit at the artist’s virtual desk and begin to know her life and her paintings. Videos, musical insights, 3D games, are just some of the functions that will be found in the application. In addition to these and to a detailed study of the forty works shown, it will be possible to purchase tickets and, above all, purchase the event’s audio guide. No more queues, used headphones or wasted time to return the recorder. 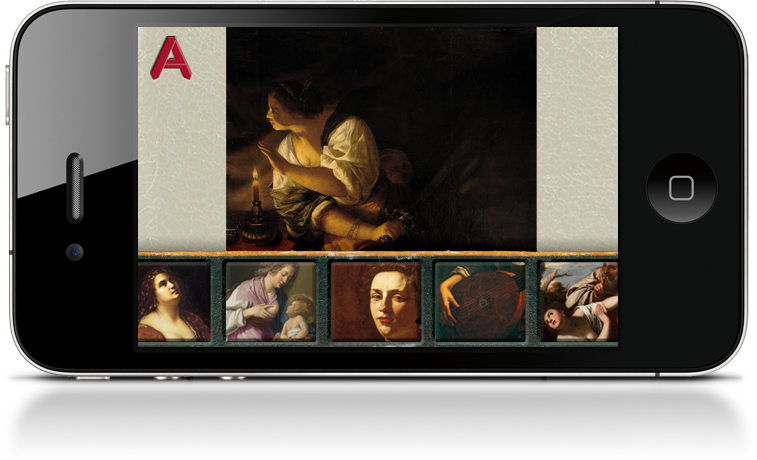 Through the Artemisia Gentileschi app you will have everything you need to follow, undertake, discover the world of the leading seventeenth-century artist and continue doing so even after the visit. Multimedia devices, from videos to audio recordings, tell its story and its achievements. The works can be viewed in great detail, including high resolution images. And if that’s not enough, a complete ebook can be purchased and viewed directly in the app. Let yourself be led into the suggestion of that period to follow the troubled public and private life of an internationally renowned artist. A complete path that, through the application, can continue to live without the dedicated event but, surely, completes it by offering a total vision to each visitor.